Michael & Eva were visiting Las Vegas from Vancouver, BC to celebrate Eva’s birthday. 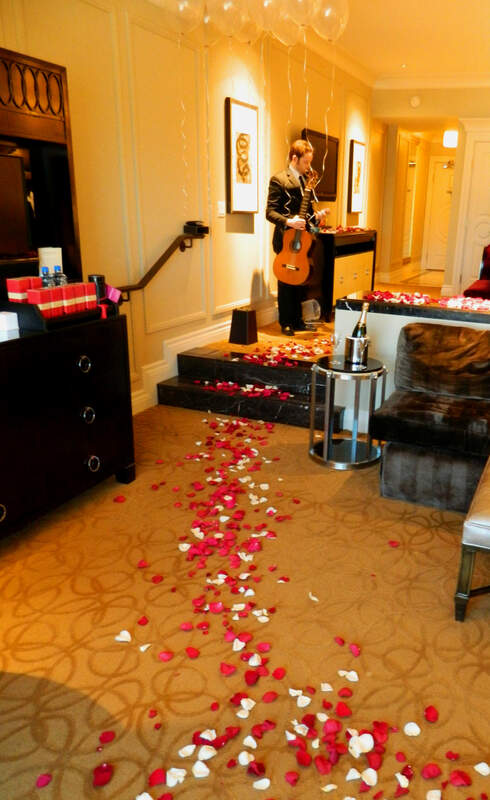 Michael took the lead in planning the entire weekend for them – from fun activities on the Strip, shopping, spa treatments, to fine dining dinners, and last but not least, a surprise marriage proposal! Michael emphasized that he wanted a truly unforgettable marriage proposal for Eva. 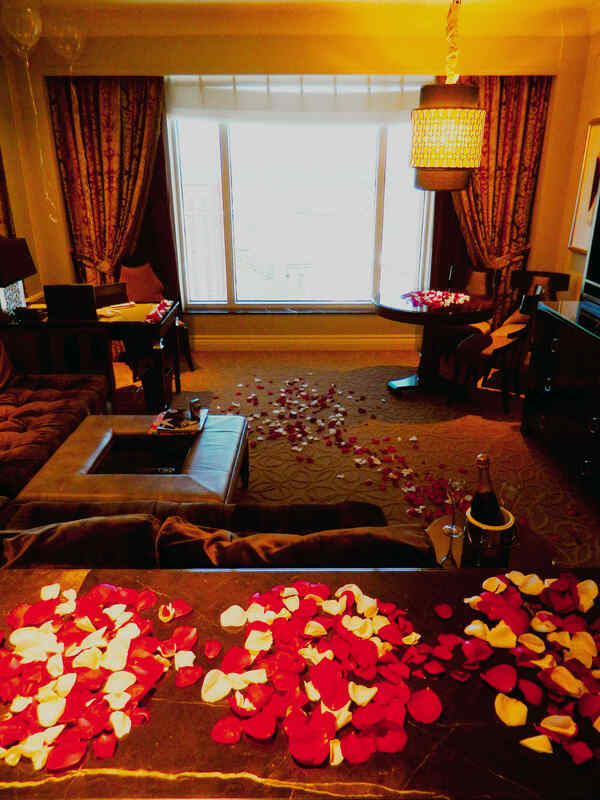 Michael wanted an in-room hotel suite proposal at the The Palazzo Resort Hotel Casino and just needed some help to bring it all together on the actual day. I contacted Jenny Cheng, Owner of JIMA Entertainment, and she was able to bring in professional guitarist, Michael Haney, for our special event. 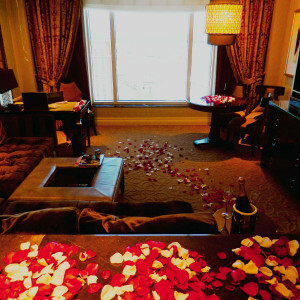 On the day of the proposal, we decorated the hotel suite with ivory and red rose petals, confetti balloons, and a champagne set for the celebration toast. Eva walked in to the room after her spa treatment and was shocked to see her hotel suite makeover. 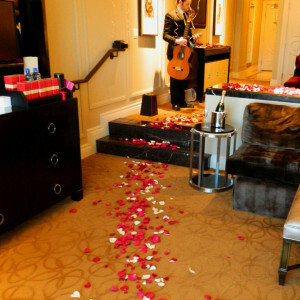 The guitarist played the acoustic version of “Wonderful Tonight” as Michael got down on one knee to propose to Eva. Eva said, “Yes!” and we took a few pictures with the newly engaged couple. After all the planning and prep work, the proposal itself went by way too fast. Nevertheless, the after effects of a properly planned proposal will last for many years to come. It was such a special moment for Michael and Eva, and we are truly honored to be a part of it. We wish you all the best as you begin a new stage in your life! Cheers to Michael & Eva!